Written for Ringo Starr, Life Begins at 40 was recorded by John Lennon at his home in the Dakota building in the summer of 1980. Lennon had agreed to contribute a selection of songs for Starr's forthcoming album, originally titled Can't Fight Lightning but released in 1981 as Stop And Smell The Roses. However, following Lennon's death in December 1980, Starr found himself unable to record any of his former bandmate's songs. Life Begins At 40 was a joint birthday present for Starr and Lennon, who passed the milestone age in July and October 1980 respectively. Recorded in a mock hoedown style with a drum machine and guitar backing, the home demo was given a spoken introduction which revealed its tongue-in-cheek intent. 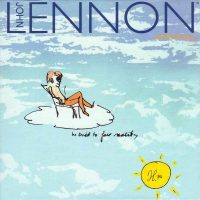 The song was copyrighted in 1985, and was released on the 1998 box set John Lennon Anthology.